Synonym to royal taste and class, crepe fabric is bound to bring out the most elegant side of yours. Crepe fabric is also known as twin sister to silk. We at BigBindi bring to you Salwar Suit made out of using finest crepe fabric. For the added benefit, we also have hand tailored crepe salwar suit. 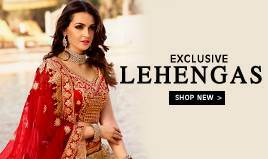 Also, if you are the one for details, you can give us your measurements and have salwar suit stitched out accurately for your size and beauty. 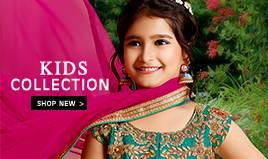 At BigBindi, we have wide range of varieties- Salwar Kameez with amazing traditional work and Salwar Kameez with different patterns and colour combination. Crepe Salwar Suits have always been quite famous among famous enthusiasts and rightly so. The fabric of the cloth clings smoothly to the body of person wearing it, dropping around itself like Royal attire. Crepe Salwar Suits are slightly lustrous, have smooth texture and are wrinkle free. This piece of Royal Elegance is well sought after in the festive seasons of Diwali, Eid and Marriage. 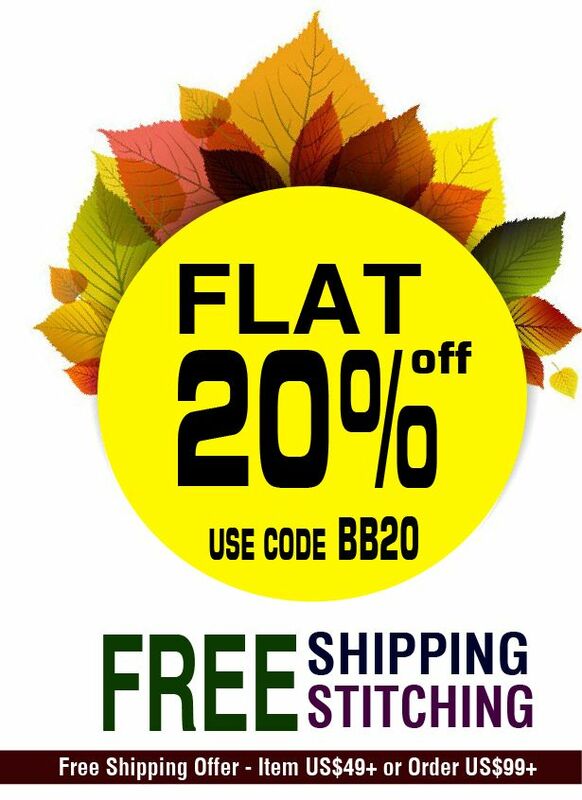 As a festive offer, BigBindi is offering huge discounts on Salwar Suit. You can order the Suit online and get it delivered at your door stop, saving you the hassle of going shop to shop for cloth shopping. 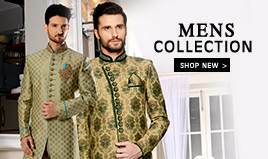 Visit our website today and explore trendy collection of Salwar Suits. 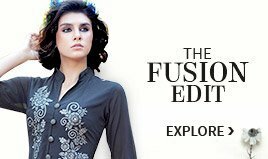 Crepe suits are available in a variety of styles such as Anarkali, plazzo, achkan and long-length suit to fit you need and desire. You can choose crepe suits with beautiful embroidery and embellished work. 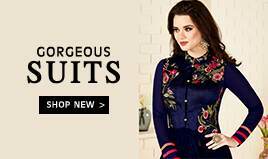 There are many types of Salwar Suits and Kameez available to choose from but for the long time all time favourite choice of Indian women and also globally has been Salwar Suit made out of Crepe fabric. Crepe Suits are very light weight and comes with extra softness. It is very comfortable to wear one and fibre is very smooth on body. You are bound to attend positive attention from people if you wear the dress to any festive function or family marriage. The fibre has special appeal to it and it increases the beauty of the woman wearing it.